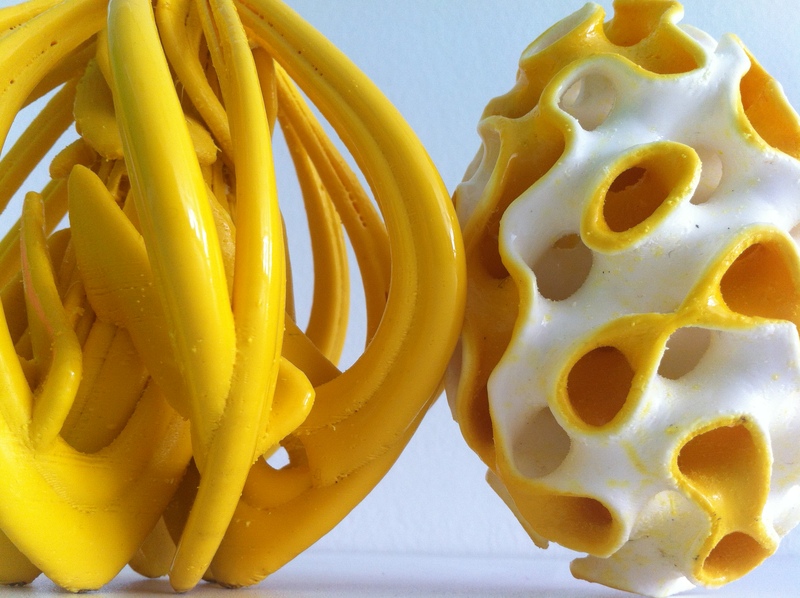 Budapest 3D Printing Days 2015 is coming next week! On the 14th May 2015 the 3rd edition of Budapest 3D Printing Days is going to open its doors for a three-day extravaganza on 3d printing, additive manufacturing and associated technologies. Great speakers will build the core of Budapest 3D Printing Days’ outstanding line-up of conference sessions and interesting 3d printing or 3d scanning related workshops. Whether that business involves desktop consumer 3d printing, manufacturing or even hobbyist tinkering technology (maker culture), this years event in the heart of the Hungarian capitol will be the place to do the business. The aim of the exhibition and thematic keynote sessions is to provide inspiration and education on all things designing and making – be that in an international aerospace and defense contractor or for homemade prosthetics for children and young adults. The 2015 line-up consisted of the leading lights from the companies that both provide and use the tools we’ve been covering for the last couple of years. The organizers have something different for this this year, but more of that later. The space for the show like the main exhibition area at Akvárium with the 3 halls, the conference hall at Design Terminal and the workshop space in Design Terminal’s pavilion were larger than for 2013 or 2014. When I first visited the Budapest 3D Printing Days in 2013 there was a small and somewhat dispersed representation for the 3d printing industry, although as an exhibitor I absolutely felt happy and found some good friends and businesses during the 5 days of the show. The exhibition and workshops with working 3d printers have been really popular, the organizers decided to go bigger with the next years event. 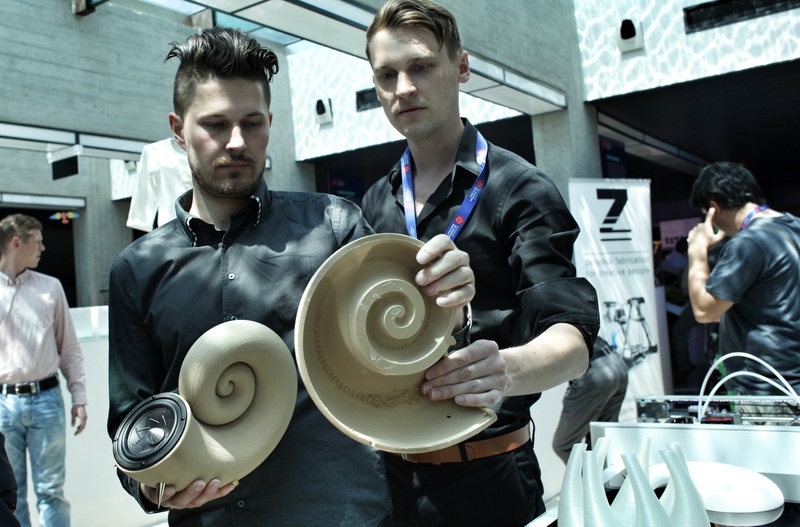 The Budapest 3D Printing Days 2014 has been the most prominent Central-European 3d printing event with a lot of exhibitor from the V4 Countries like Poland or the Czech Republic. For 2015, Design Terminal made a huge impact by launching the biggest and newest range of the regional 3d printing market, in this way the event wants to be even bigger: the region has its own leading cores and the organizers want to connect all the regional businesses around the local 3d printing industry. I really like the concept of becoming the place for regional desktop manufacturers to launch their awesome machines, for example the professional grade DLP 3d printer of Do3D, the super-affordable spider-like deltabot of Krak3n or the affordable industrial SLS 3d printer of a small company. Some ’traditional’-style desktop 3d printers will take place as well, like the CraftUnique 3d printer from Craftbot, which is already in production thanks to its successful indiegogo campaign. The first day starts with the official opening ceremony, where all the companies will represent their products for the press and audience for a few hours. The conferences will take place on 15th May, the workshops will run continuously during the 3 days of the Hungarian 3d print show. Even you are a hobbyist or a professional, the most interesting day for you might be the conference day: the morning will kick off with some keynote speakers representing the longest-established companies in the industry like Arduino (Davide Gomba) or Makerbot (Alexander Hafner). Almost twenty speakers will take to the stage over the day, spanning the veterans and newcomers to share their vision for the technologies and application for the next couple of years. I hope I won’t miss the interesting lecture of Cristina Nan from Architecture Hafencity, and of course we really can suggest our dear friend David Pap from FabLab Budapest with their interesting workshops about generating custom g-codes for desktop 3d printers using grasshopper or 3d scanning techniques with photogrammetry or laser-scanning. How we make things today and how we made things twenty years ago has changed drastically thanks to the increased accessibility and power of computing solutions – will the same be true for the 3d printing technologies on the Budapest 3D Printing Days showfloor? 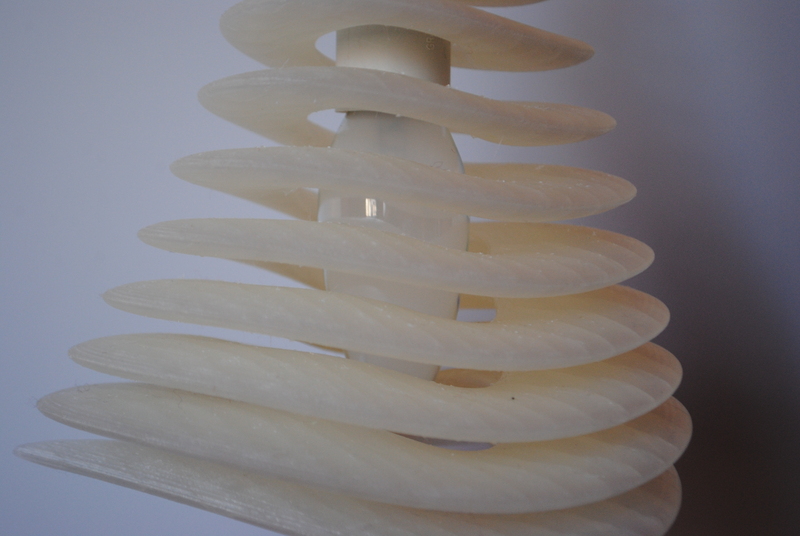 GigamaX3D and parametric | art have been central to Design Terminal’s Budapest 3D Printing Days for some years now, retaining a central position and substantial double-stand since the 2 companies work together from the beginning. They will be having their main, twin-desk booth which will be in a central place of the main hall, where they will be demonstrating the consumer and professional desktop 3d printers and materials and the production applications of affordable and/or open-source 3d printing technologies – including end user parts as generative jewelry, lampshades and sculptures by parametric | art. 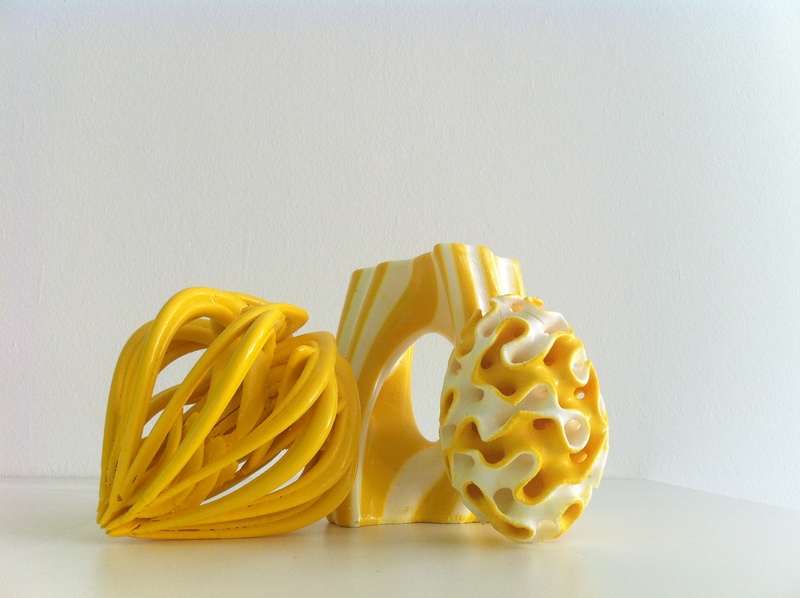 If you are curious what you could expect from the two companies for 2015’s event, you’re at the right place because there will be 2 workshops for generative 3d printed jewelry design and DIY 3d printing, which are open for the public during the Hungarian 3d print show. GigamaX3D is going to be showing some brand new products and a couple of evolutions and improvements to already existing products. On the FDM desktop 3d printer side, they will showcase the Leapfrog professional 3d printer systems, the Creatr and the Xeed, and they also will run a fully open-source assembled K8400 Vertex 3d printer KIT, which also will be explained during the 3d print workshop on saturday. 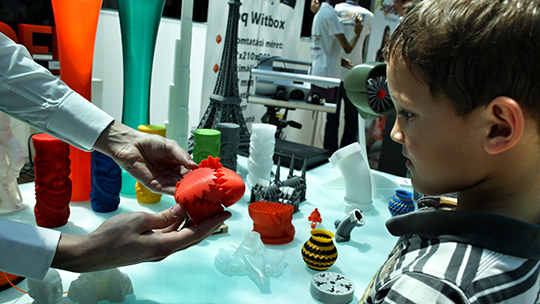 Some of he 3d printers at the booth will be 3d printing prosthetic hands for young people for the e-NABLE project with Joe Cross, who also will be a speaker and exhibitor at the Budapest 3D Printing Days. I am glad to spread the word about e-NABLE and how we can help in this area, because until recently, they did not have any e-NABLE volunteers working in Hungary. Thanks to this event, they will be able to recruit new volunteers and help many children. The idea of desktop 3d printing being used at the point of need (or indeed by the person with need) to create healthcare solutions os something that will touched upon Joe Cross in his presentation. 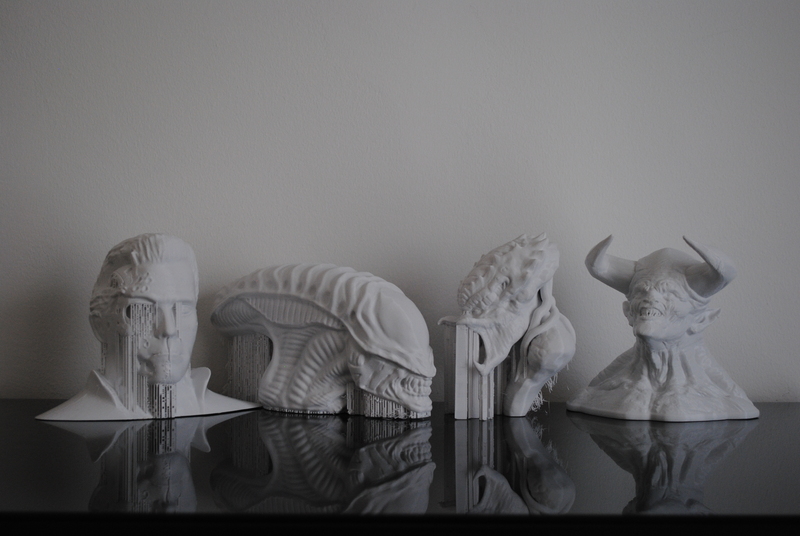 Honestly, I’ve never seen a project like e-NABLE developing such a great movement, so guys, if you have a 3d printer at home, don’t hesitate and support them with some prints you can afford.